Throughout this course much material was taught and learned but there is one topic we covered that has been most important to my learning experience in this class and my other classes. That topic is the whole chapter on memory. It has helped me understand how to use my brain to learn and make meaning of concepts so I can have lasting learning experiences through applying the processes of memory. 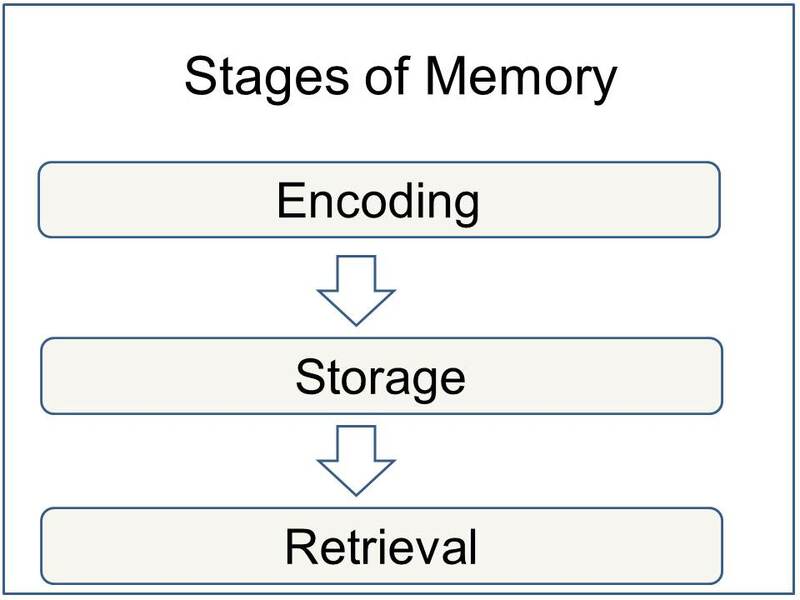 The process of memory is divided into three separate processes. The first process is encoding. Encoding is getting information into the memory system in a way it can be used. What you pay attention to gets placed into a code of understanding for each individual and the object they are trying place into storage. The second process is storage. This is where you have encoded memory and now you are hanging on to the material even when you’re not working with it. The third process is retrieval. 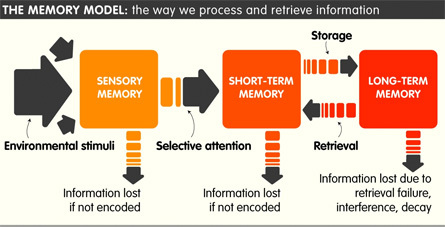 Retrieval is where you haul out the piece of memory you encoded from storage and use it. An example of this process is when you study for a test and you encode the material into a code you understand. Then you store it in your storage until you need it. When needed and depending on if you encoded deep enough you can retrieve it from storage. What I mean by encoding deep enough is that material won’t stick unless you encoded well enough that many connections were made. Encoding levels can vary but the deeper you encode the better the memory and it will involve connections to you. Elaboration is any sort of strategy to remember something by making connections. By elaborating on material, you make connections that are meaningful to you; your memory is the creation and recreation of meaning. If you make deep meaning, connections, and elaboration out of what you’re trying to learn, you will remember it. This material is especially significant to me because I feel like I’m starting over in my learning. I have just returned back to school after doing two years of humanitarian service and was not ready for the academic world. However, using what I learned in psychology 1010 about memory I was able to acquire new study skills to succeed in all my classes. For example, when I took notes, I would not only write down major point repeated by the instructor, but I also wrote meaningful side notes, created images, or related it to myself so I could remember the major points. I have seen great results by applying these principles of memory when I consistently got high test scores throughout all my courses. Also, the things I’ve learned have lasted in my memory. I still can remember a majority of the content from in my courses. Thomas Fuller wrote, “Memory is the treasure house of the mind wherein the monuments thereof are kept and preserved” (Fuller). As I continue to learn and grow academically, I know that if I cannot remember what I learned, there will be no growth. But by applying what I learned about memory here in psych 1010 I can do as Thomas Fuller says and keep my monuments (Important stuff) preserved and retrieve it when needed. Fuller, Thomas. "Memory Quotes." BrainyQuote. Xplore, 1 Jan. 1630. Web. 30 Apr. 2015. <http://www.brainyquote.com/quotes/keywords/memory_2.html>.